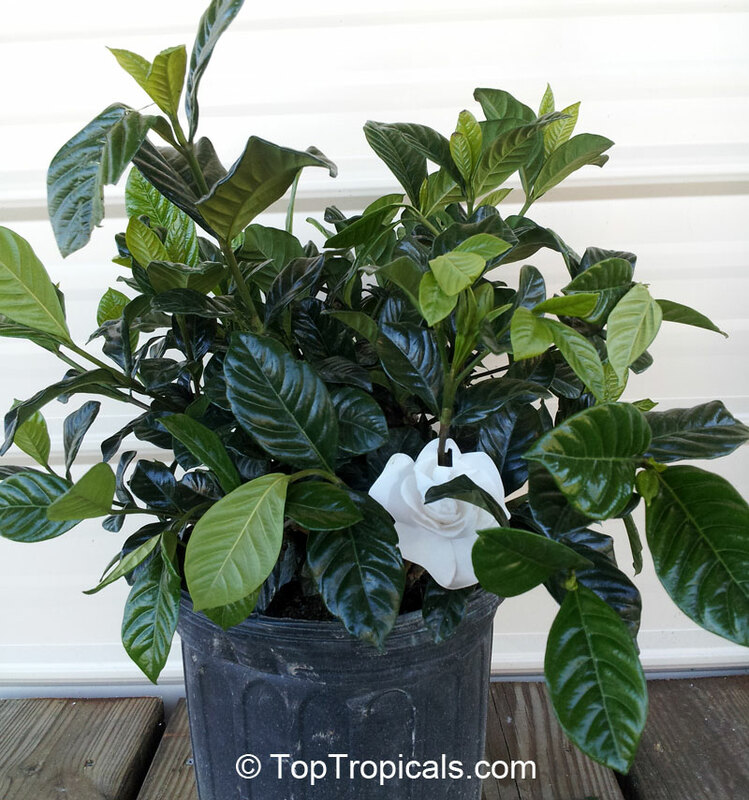 Gorgeous, dark to bright green, opposite leaves on a shrub that can grow up to 6' with almost equal spread. Leaves are glossy and leathery. 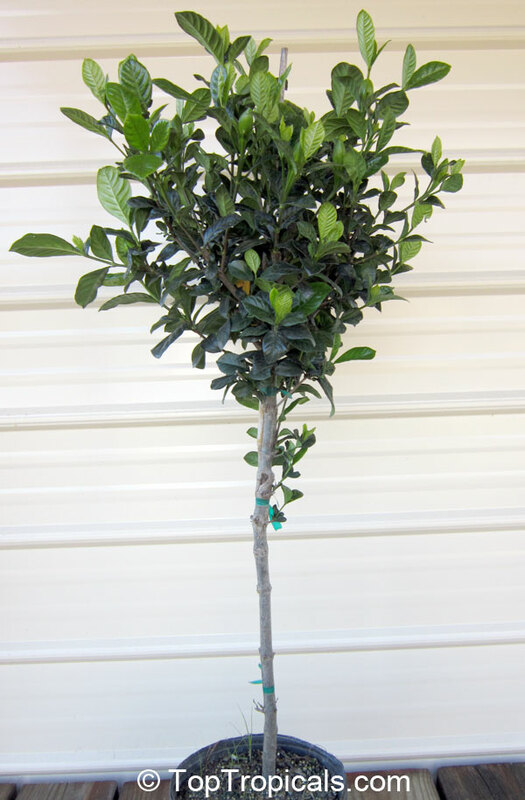 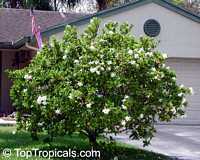 Mature shrubs usually look round, and have a medium texture. Blooms in mid-spring to early summer, over a fairly long season. 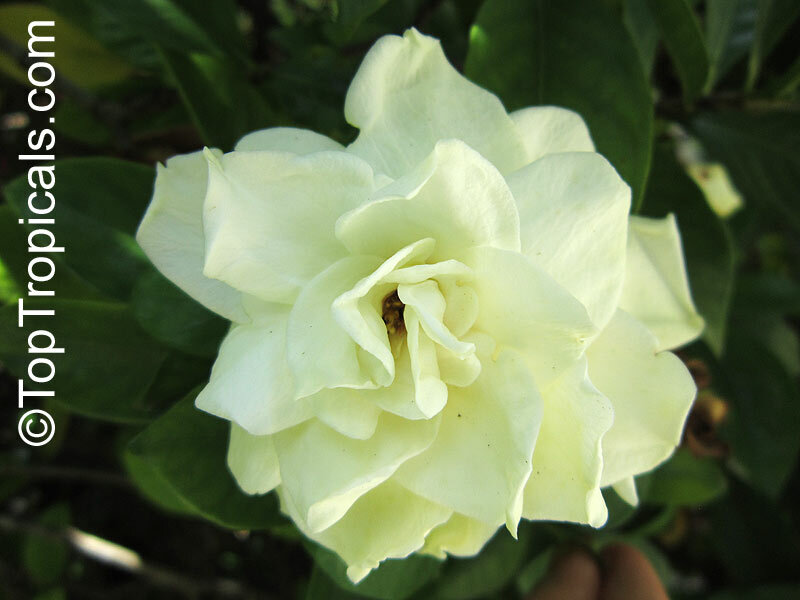 Flowers are white, turning to creamy yellow as they age, and have a waxy feel. 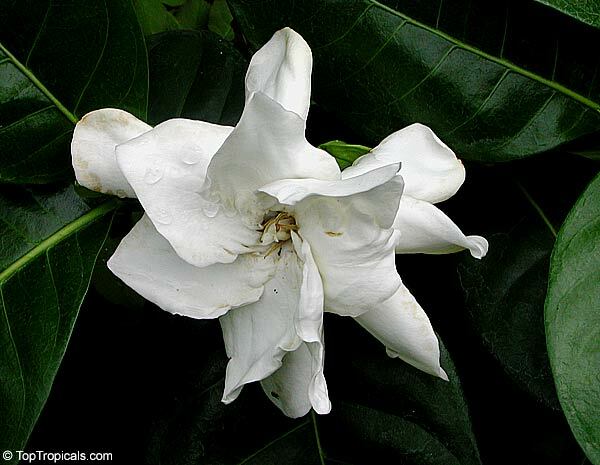 They have a powerful, sweet fragrance, and can perfume an entire room. Air currents waft the scent throughout the warm summer garden. 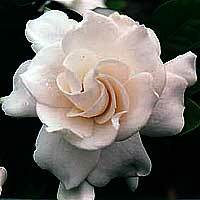 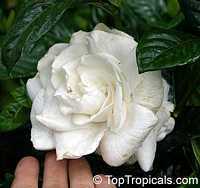 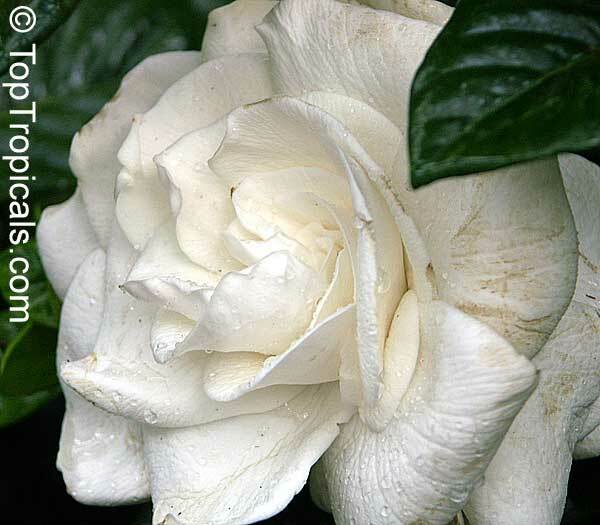 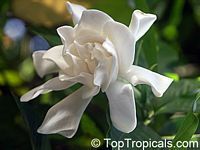 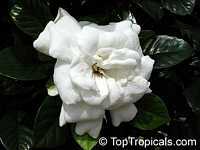 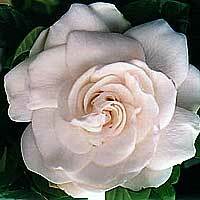 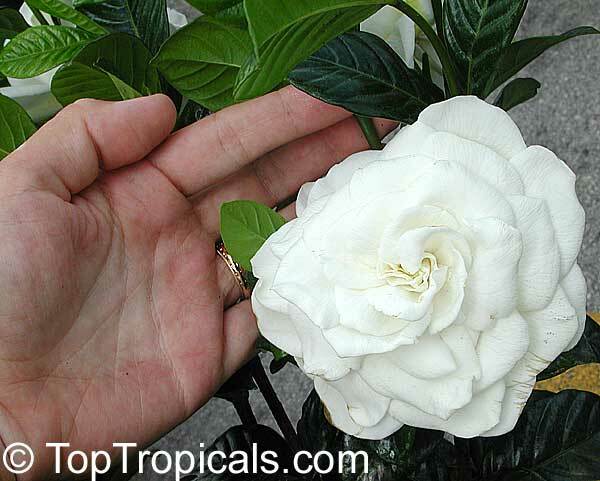 Gardenias prefer acid, moist, well-drained soils. 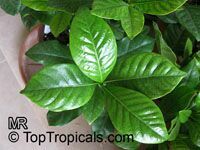 Use fertilizer for acid loving plants, and use iron compounds. 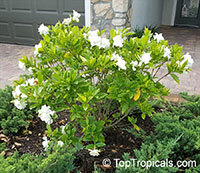 Add plenty of organic matter, such as compost or ground bark, to as large an area as possible. Mulch plants instead of cultivating. 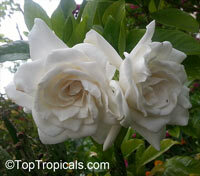 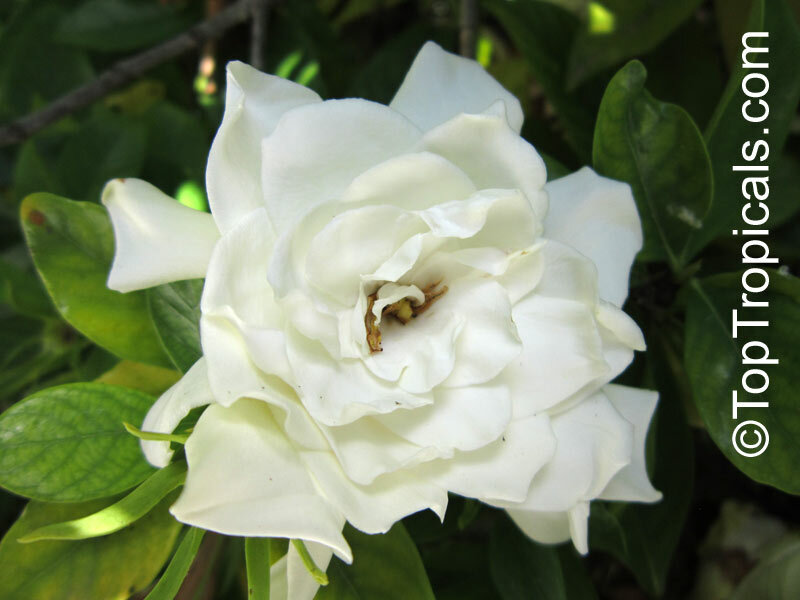 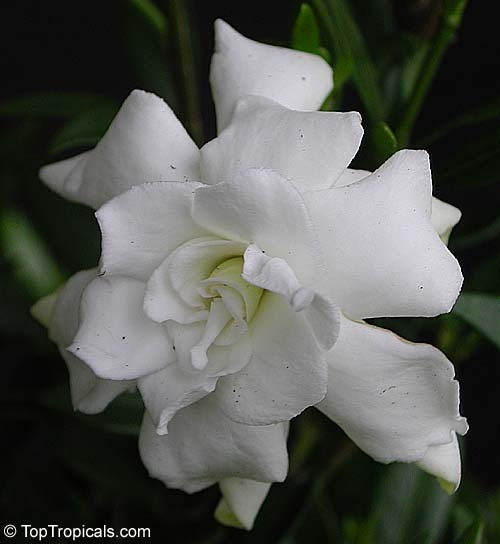 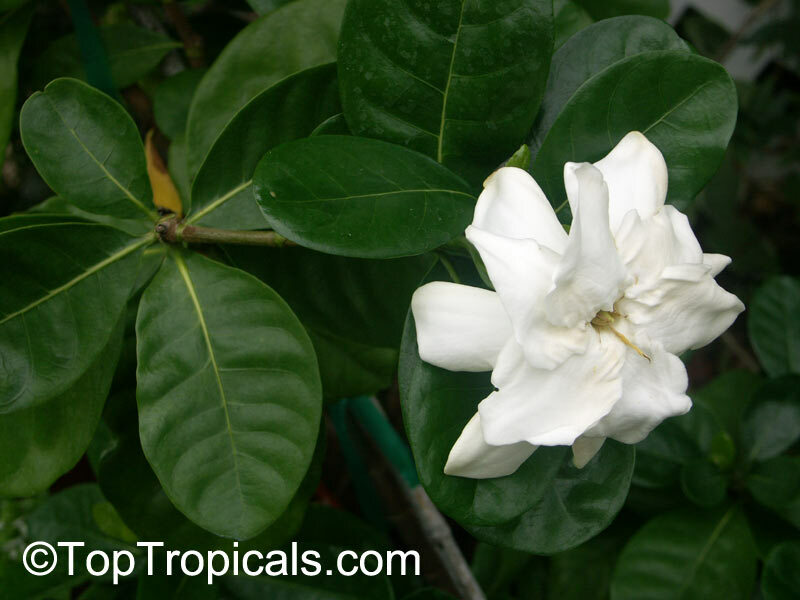 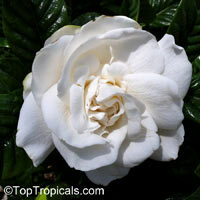 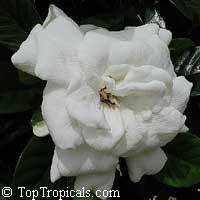 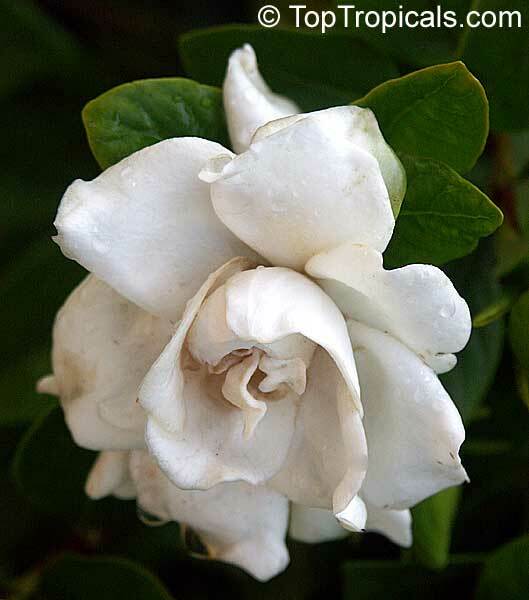 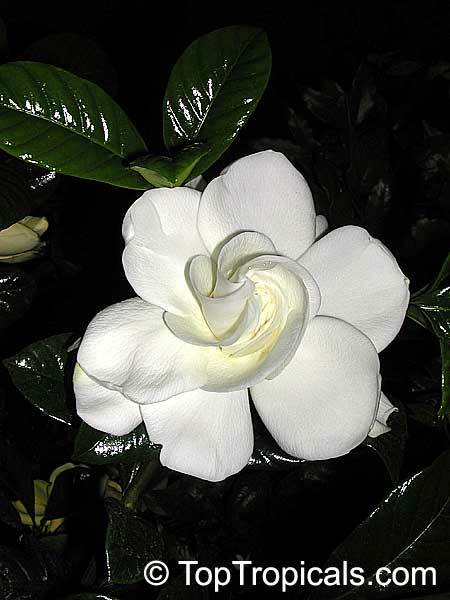 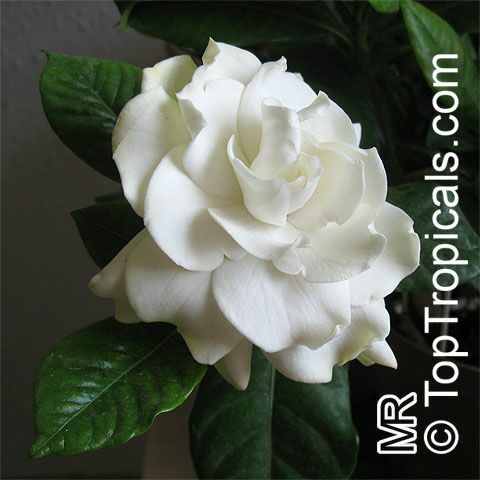 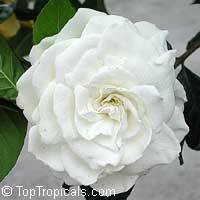 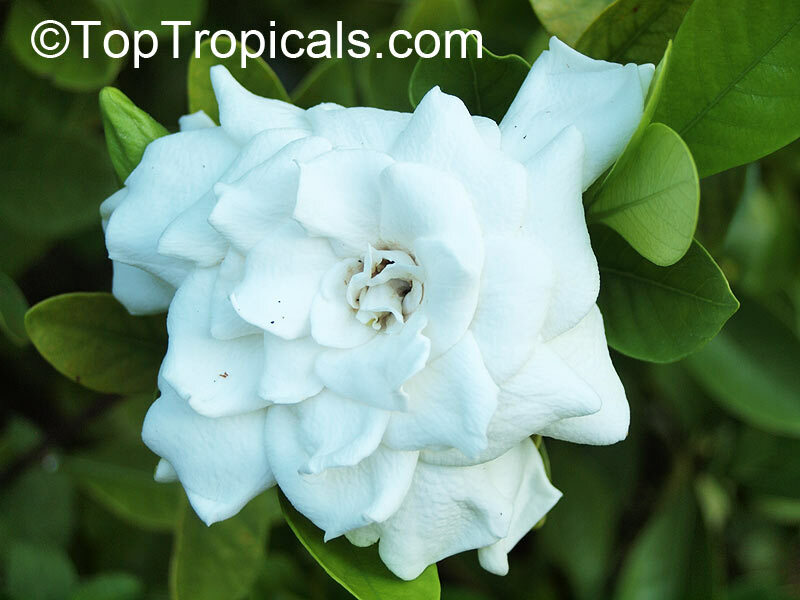 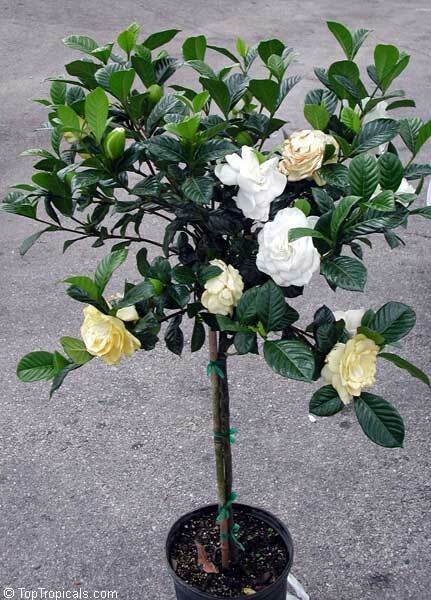 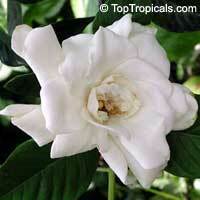 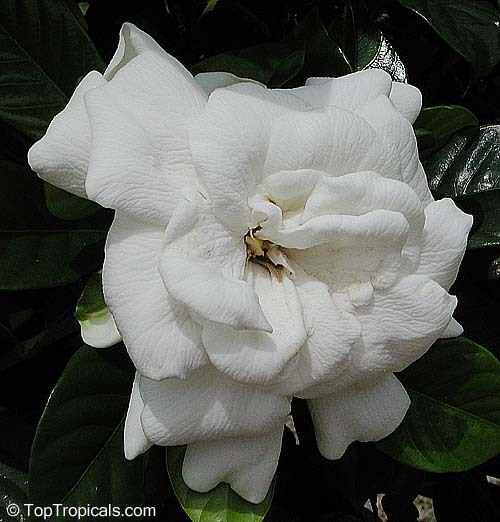 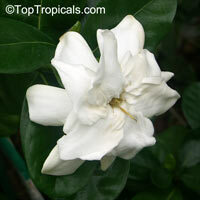 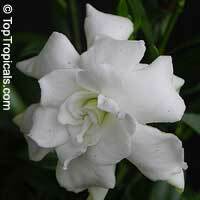 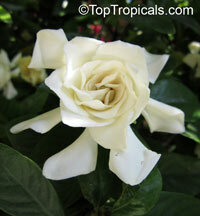 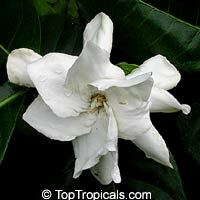 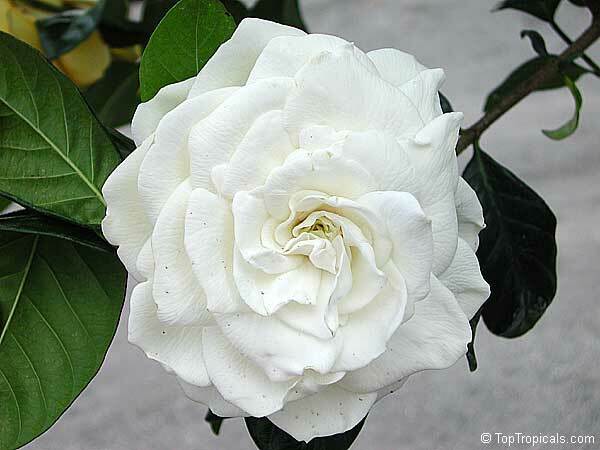 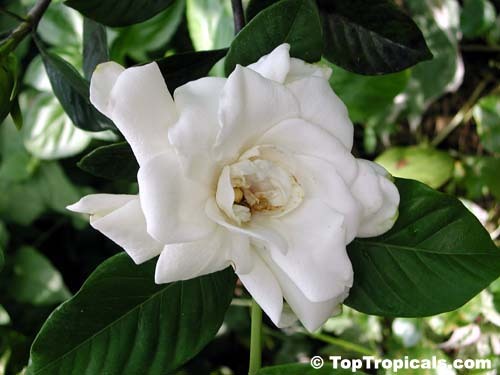 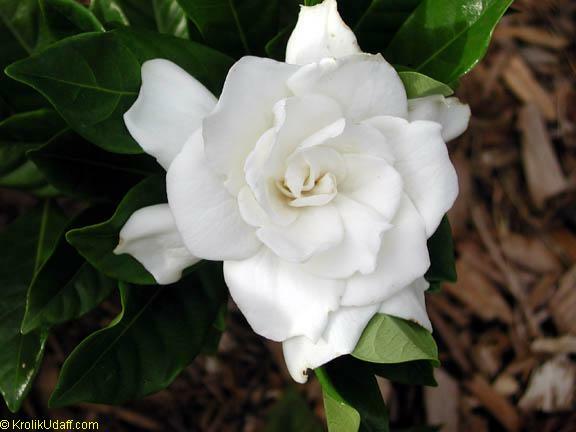 A good time to feed gardenias is mid-March, using an acid plant food, fish emulsion or blood meal. 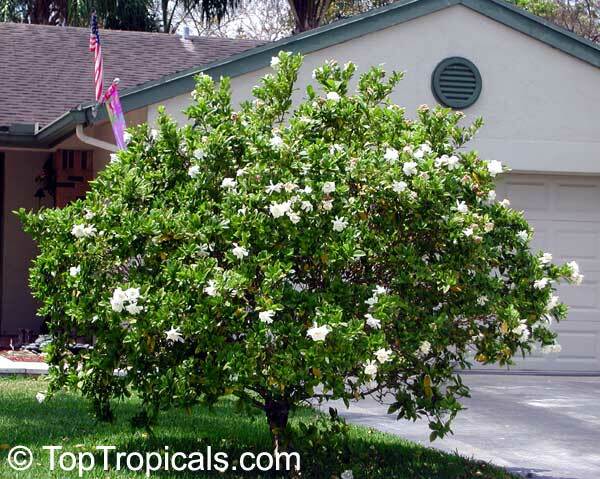 Feed the shrubs again in late June to encourage extra flowers on everbloomers or faster growth of young shrubs. 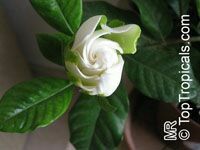 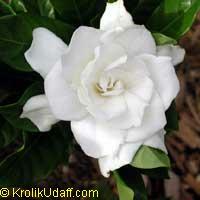 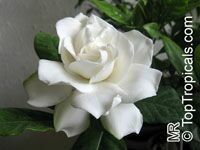 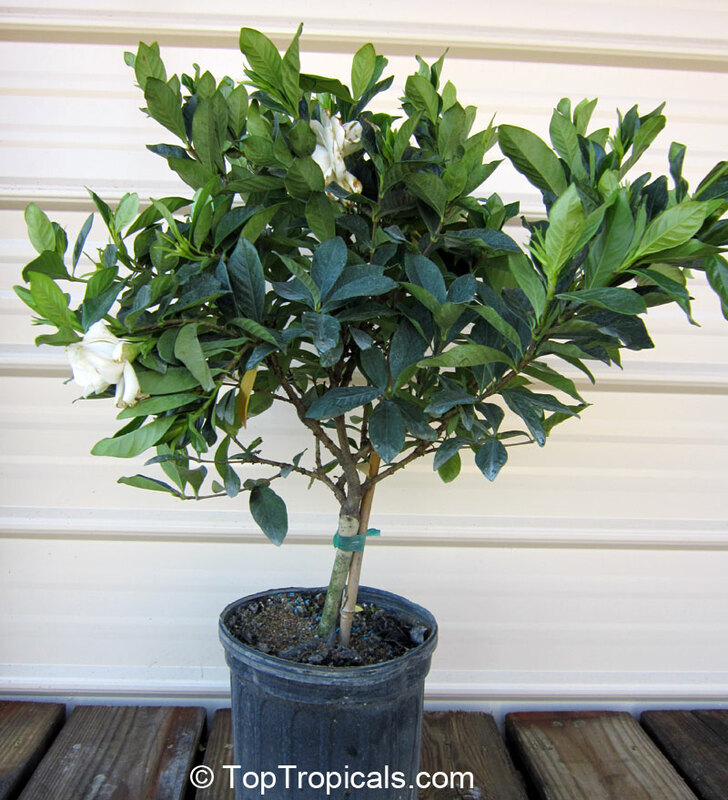 Do not fertilize gardenias in the fall. 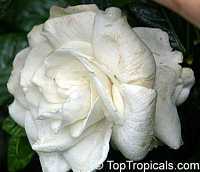 Doing so will stimulate tender growth, which may be killed if the temperature in winter drops below 15 degrees. 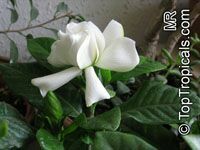 This plant is often seen labeled as Gardenia jasminoides which is now a synonym and no longer valid.